S. Biswas, Y. Visell, Emerging Materials Technologies for Haptics [PDF]. Advanced Materials Technologies, To Appear, 2019. B. Dandu, Y. Shao, A. Stanley, Y. Visell, Spatiotemporal Haptic Effects from a Single Actuator via Spectral Control of Cutaneous Wave Propagation. Proc. IEEE World Haptics Conference, To Appear, 2019. G. Reardon, Y. Shao, B. Dandu, W. Frier, B. Long, O. Georgiou, Y. Visell, Cutaneous Wave Propagation Shapes Tactile Motion: Evidence from Air-Coupled Ultrasound. Proc. IEEE World Haptics Conference, To Appear, 2019. A. Kawazoe, M. Di Luca, Y. Visell, Tactile Echoes: A Wearable System for Tactile Augmentation of Objects. Proc. IEEE World Haptics Conference, To Appear, 2019. J. Jiao, D. Wang, Y. Zhang, D. Cao, Y. Visell, D. Cao, X. Guo, X. Sun, Detection and Discrimination Thresholds for Haptic Gratings on Electrostatic Tactile Displays. IEEE Transactions on Haptics, To Appear, 2018. J. Jiao, Y. Zhang, D. Wang, Y. Visell, D. Cao, X. Guo, X. Sun, Data-Driven Rendering of Fabric Textures on Electrostatic Tactile Displays. Proc. IEEE Haptics Symposium, 2018. A. Kawazoe, S. Fyke, B. Cunningham, K. Sparackin, B. Dandu, Y. Visell, Demonstrating a touch amplification system for augmented surfaces. Demo at IEEE Haptics Symposium, 2018. S. Patwardhan, A. Kawazoe, D. Kerr, M. Nakatani, Y. Visell, Dynamics and Perception in the Thermal Grill Illusion. IEEE Transactions on Haptics, To Appear, 2019. S. Patwardhan, A. Kawazoe, D. Kerr, M. Nakatani, Y. Visell, Too hot, too fast! Using the thermal grill illusion to explore dynamic thermal perception. Proc. IEEE Haptics Symposium, 2018. M. Janko, M. Wiertlewski, Y. Visell, Contact geometry and mechanics predict friction forces during tactile surface exploration. Nature Scientific Reports, 8 (4868), 2018. B. Khojasteh, M. Janko, Y. Visell, Complexity, rate, and scale in sliding friction dynamics between a finger and textured surface. Nature Scientific Reports 8 (13710), 2018. Y. Shao, Y. Visell, Learning Constituent Parts of Touch Stimuli from Whole Hand Vibrations. Proc. IEEE Haptics Symposium, 2016. Y. Shao, V. Hayward, Y. Visell, Spatial Patterns of Cutaneous Vibration During Whole-Hand Haptic Interactions [PDF+SI]. Proceedings of the National Academy of Sciences, 113 (15), 2016. J. van der Lagemaat, I. Kuling, Y. Visell, Tactile Distances Are Greatly Underestimated in Perception and Motor Reproduction. Proc. IEEE Haptics Symposium, 2018. B. Dandu, I. Kuling, Y. Visell, Proprioceptive Localization of the Fingers: Coarse, Biased, and Context-Sensitive. IEEE Transactions on Haptics, To Appear, 2019. B. Dandu, I. Kuling, Y. Visell, On Visual-Proprioceptive Integration in the Perception of the Locations of the Fingers. EuroHaptics Conference, Work-in-Progress Category, 2018. M. A. Janko, Z. Zhao, M. Kam, Y. Visell, A partial contact frictional force model for finger-surface interactions. Proc. IEEE Haptics Symposium, 2018. T. N. Do, H. Phan, T.-Q. 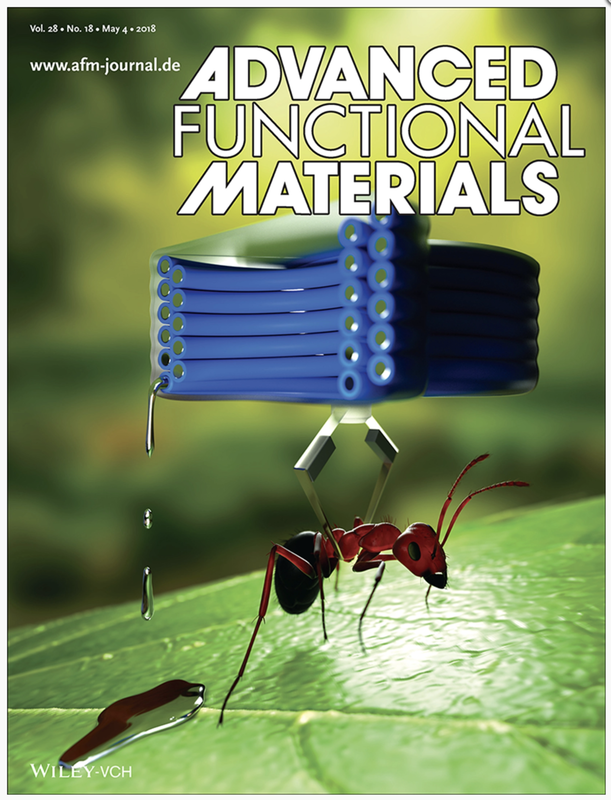 Nguyen, and Y. Visell, Miniature Soft Electromagnetic Actuators for Robotic Applications. Advanced Functional Materials, To Appear, 2018. T. N. Do, Y. Visell, Stretchable, Twisted Conductive Microtubules for Wearable Computing, Robotics, Electronics, and Healthcare [PDF]. Nature Scientific Reports 7 (1753), 2017. B. Li, Y. Shi, A. K. Fontecchio, Y. Visell, Mechanical Imaging of Soft Tissues with a Highly Compliant Tactile Sensing Array [PDF]. IEEE Transactions on Biomedical Engineering, 65 (3), 2018. B. Li, Y. Shi, H. Hu, A. K. Fontecchio, Y. Visell, Assemblies of Microfluidic Channels and Micropillars Facilitate Sensitive and Compliant Tactile Sensing [PDF]. IEEE Sensors Journal, 16 (24), 2016. B. Li, Y. Gao, A. K. Fontecchio, Y. Visell, Soft capacitive tactile sensing arrays fabricated via direct filament casting [PDF]. Smart Materials and Structures, 25 (075009), 2016. B. Li, A. K. Fontecchio, Y. Visell, Mutual capacitance of liquid conductors in deformable tactile sensing arrays [PDF]. Applied Physics Letters 108, 2016. H. Wolfe, M. Peljhan, Y. Visell, Singing Robots: How Embodiment Affects Emotional Responses to Non-linguistic Utterances [PDF]. IEEE Transactions on Affective Computing, To Appear, 2017. S. Kiratli, A. Cadambi, Y. Visell, HIVE: An Interactive Sound Sculpture for Exploring the Aesthetics of Spatial Sound. Proc. New Interfaces for Musical Expression (NIME), 2017. F. Bello, H. Kajimoto, Y. Visell (eds. ), Haptics: Perception, Devices, Control, and Applications. 10th International Eurohaptics Conference, London, UK. Springer LNCS 9774/9775, 2016. Y. Visell, M. Hartmann, V. Hayward, N. Lepora (guest editors), Active Touch Sensing in Humans, Robots, and Other Animals. IEEE Transactions on Haptics, 2016. F. Steinecke, Y. Visell, J. Campos, A. Lecuyer (eds. ), Human Walking in Virtual Environments: Perception, Technology, and Applications. Springer Verlag Series in Engineering (January, 2013). ISBN: 978-1-4419-8431-9. M. Zhu, T. N. Do, E. W. Hawkes, Y. Visell, Fluidic Fabric Muscle Sheets for Wearable and Soft Robotics. S. Biswas, Y. Visell, Emerging Materials Technologies for Haptics. 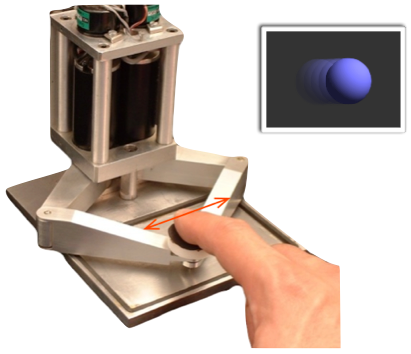 M. Janko, R. Primerano, Y. Visell, On Frictional Forces Between the Finger and a Textured Surface During Active Touch [PDF]. IEEE Transactions on Haptics 9 (2), 2016. Y. Visell, N. Lepora, M. Hartmann, V. Hayward, Biology to Technology in Active Touch Sensing – Introduction to the Special Issue on Active Touch Sensing in Humans, Robots, and Other Animals [PDF]. IEEE Transactions on Haptics 9 (2) 2016. Y. Visell, Fast, physically accurate rendering of multimodal signatures of distributed fracture in heterogeneous materials [PDF]. IEEE Transactions on Computer Graphics and Visualization, 21 (4), 2015. Y. Visell, G. Millet, Fracture in Disordered Heterogeneous Materials as a Stochastic Process. arXiv:1408.5303 (cond-mat.stat.mech). B. Giordano, Y. Visell, H.-Y. Yao, V. Hayward, J. Cooperstock, S. McAdams, Identification Of Walked-Upon Materials In Auditory, Kinesthetic, Haptic And Audio-Haptic Conditions [PDF]. Journal of the Acoustical Society of America 131 (5), 2012. G. Lemaitre, O. Hioux, P. Susini, Y. Visell, K. Franinovic, Feelings elicited by auditory feedback from a computationally augmented artifact [PDF]. IEEE Transactions on Affective Computing, 2012. Y. Visell, Frictional stick-slip oscillation as a first passage problem [PDF]. EPL Europhysics Letters 95 (6), 2011. Y. Visell, B. Giordano, G. Millet, J. Cooperstock, Vibration Influences Haptic Perception of Surface Compliance During Walking [PDF] [Read+Discuss]. PLoS one 6 (3), March, 2011. Y. Visell, A. Law, J. Cooperstock, Touch is Everywhere: Floor Surfaces as Ambient Haptic Interfaces [PDF]. IEEE Transactions on Haptics, 2 (3), July-September, 2009. 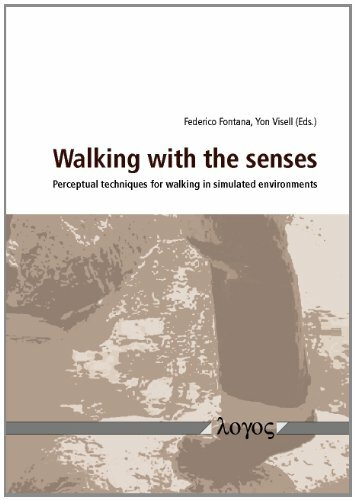 Y. Visell, F. Fontana, B. Giordano, R. Nohrdahl, S. Serafin, R. Bresin, Sound Design and Perception in Walking Interactions [PDF]. Int J Human Computer Interaction Studies, 67 (11), Elsevier, 2009. Y. Visell, Tactile Sensory Substitution: Models for Enaction in HCI [PDF]. Interacting with Computers, 21 (1-2), Elsevier, 2009. G. Lemaitre, O. Hioux, Y. Visell, K. Franinovic, N. Misdariis, P. Susini, Toward the Design and Evaluation of Continuous Sound in Tangible Interfaces [PDF]. Int J Human Computer Interaction Studies, 67 (11), Elsevier, 2009. Y. Visell, Spontaneous Organization, Pattern Models, and Music [PDF]. Organised Sound 9(2), Cambridge Univ. Press, 2004. Y. Visell, S. Okamoto, Vibrotactile Sensation and Softness Perception [PDF]. 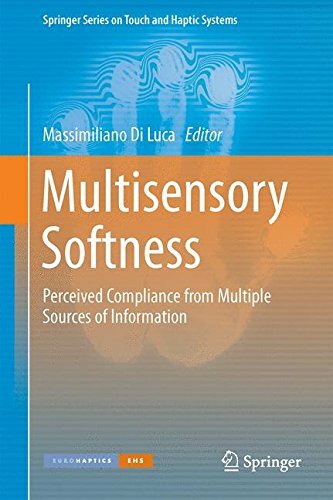 Chapter in: Multisensory Softness, ed. Massimiliano di Luca. Springer Verlag Series on Touch and Haptic Systems, 2014. Y. Visell, R. Murray-Smith, S. Brewster, J. Williamson, Continuous Auditory and Tactile Interaction Design. 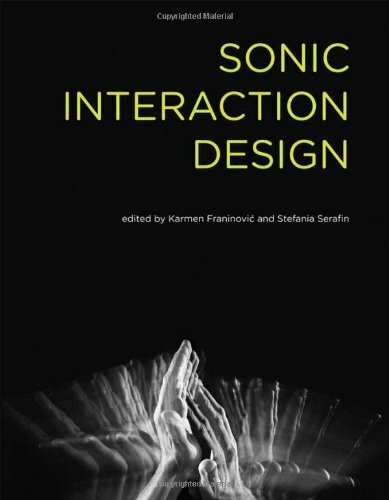 Chapter in: Sonic Interaction Design, eds. K. Franinovic and S. Serafin. MIT Press, 2013. 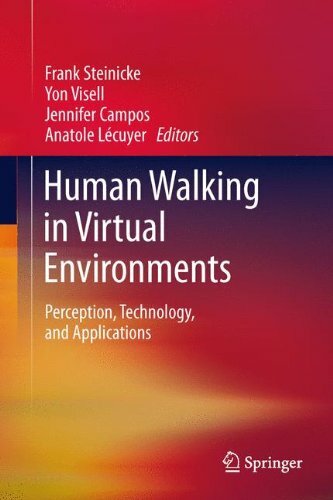 Y. Visell, F. Steinicke, J. Campos, A. Lecuyer, Introduction: Human Walking in Virtual Environments. Chapter in: F. Steinecke, Y. Visell, J. Campos, A. Lecuyer (eds. ), Human Walking in Virtual Environments: Perception, Technology, and Applications. Springer Verlag Series in Engineering, 2013. Y. Visell, S. Smith, J. Cooperstock, Interaction with Computationally Augmented Floor Surfaces. Chapter in: F. Steinecke, Y. Visell, J. Campos, A. Lecuyer (eds. ), Human Walking in Virtual Environments: Perception, Technology, and Applications. Springer Verlag Series in Engineering, 2013. M. Marchal, G. Cirio, Y. Visell, F. Fontana, S. Serafin, J. Cooperstock, A. Lecuyer, Multimodal Rendering. Chapter in: F. Steinecke, Y. Visell, J. Campos, A. Lecuyer (eds. ), Human Walking in Virtual Environments: Perception, Technology, and Applications. Springer Verlag Series in Engineering, 2013. Y. Visell, S. Smith, J. Cooperstock, Distributed human-computer interaction with augmented floor surfaces. Chapter in: Walking with the Senses, eds. Y. Visell and F. Fontana. Logos Verlag, 2012. Y. Visell, R. Rajalingham, J. Cooperstock, A review of nonvisual signatures of human walking with applications to person tracking in augmented environments. Chapter in: Walking with the Senses, eds. Y. Visell and F. Fontana. Logos Verlag, 2012. G. Cirio, Y. Visell, and M. Marchal, Multisensory and Haptic Rendering of Complex Virtual Grounds. Chapter in: Walking with the Senses, eds. Y. Visell and F. Fontana. Logos Verlag, 2012. V. Hayward, Y. Visell, S. Serafin, F. Fontana, M. Civolani, Novel haptic displays for walking interactions. Chapter in:Walking with the Senses, eds. Y. Visell and F. Fontana. Logos Verlag, 2012. B. Dandu, I. Kuling, Y. Visell, Where Are My Fingers? Assessing Multi-Digit Proprioceptive Localization [PDF]. Proc. IEEE Haptics Symposium, 2018. H. Schäfer, Z. Wells, Y. Shao, Y. Visell. Transfer Properties of Touch Elicited Waves Vary with Hand Posture and Contact Conditions. Proc. IEEE World Haptics Conference, 2017. S. Kiratli, A. Cadambi, Y. Visell, HIVE: An Interactive Sound Sculpture for Exploring the Aesthetics of Spatial Sound [PDF]. Proc. New Interfaces for Musical Expression (NIME), 2017. 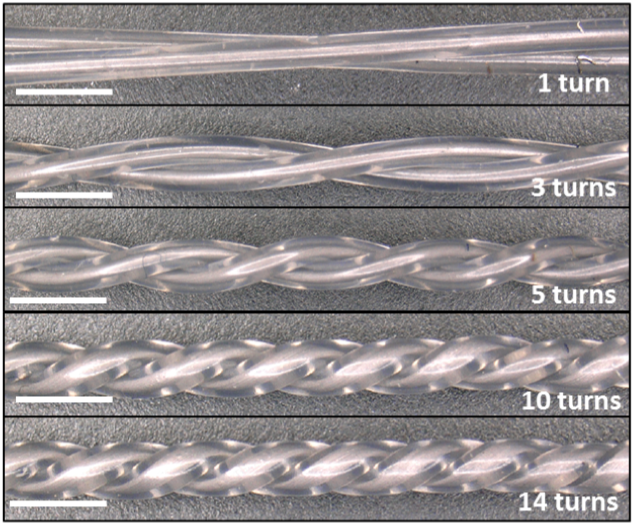 T. N. Do, Y. Visell, Highly Stretchable, Twisted, Conductive Tubules for Robotics, Electronics, and Healthcare Applications (Oral Presentation). Materials Research Society Spring Meeting, 2017. M. Chartier, N. Thomas, Y. Shao, Y. Visell, Toward a Wearable Tactile Sensory Amplification Device: Transfer Characteristics and Optimization [PDF]. IEEE Haptics Symposium, 2016. Y. Shao, Y. Visell, Learning Parts of Touch in the Whole Hand with Sparse Dictionary Learning (Invited Talk). IEEE Image, Video, and Multidimensional Signal Processing Workshop (IVMSP), 2016. R. Lerch, H. Cui, S. Patwardhan, Y. Visell, C. Sims, Exploring Haptic Working Memory as a Capacity Limited Information Channel [PDF]. Proc. IEEE Haptics Symposium, 2016. B. Li, Y. Visell, Design, Analysis, and Fabrication Methods for Highly Compliant Tactile Sensing Arrays. Proc. IEEE Haptics Symposium, Work-in-Progress, 2016. O. Campbell, C. Roads, A. Cabréra, M. Wright, Y. Visell, ADEPT: A Framework for Adaptive Digital Audio Effects [PDF]. AES Student Design Competition, 2016. O. Campbell, C. Roads, A. Cabréra, M. Wright, Y. Visell, ADEPT: A Framework for Adaptive Digital Audio Effects [PDF]. Proc. AES Workshop on Intelligent Music Production, 2016. B. Khojasteh, M. Janko, Y. Visell, Numerical studies of sliding friction between a finger and a textured surface. Eurohaptics 2016 Conference, Work-in-progress, 2016. N. Hieda, J. Anlauff, S. Smith, Y. Visell, J. Cooperstock, An Intelligent Floor Surface for Foot-based Exploration of Geospatial Data. Proc. 2016 IEEE Workshop on Multimedia Signal Processing, 2016. B. Khojasteh, M. Janko, Y. Visell, Numerical investigation of frictional forces between a finger and a textured surface during active touch. International Conference on Biotribology, 2016. R. Lerch, H. Cui, S. Patwardhan, Y. Visell, C. Sims, Exploring haptic working memory as a capacity-limited information channel: An information-theoretic model of haptic memory performance for object width. 2016 Annual Meeting of the Society for Mathematical Psychology, 2016. M. Janko, R. Primerano, Y. Visell, Scale dependence of force patterns during the scanning of a surface by a bare finger [PDF]. Proc. of Eurohaptics Conference, 2014. H. Cui and Y. Visell, Linear and Nonlinear Subspace Analysis of Hand Movements During Grasping. Proc. of IEEE Engineering and Biology Conference (EMBC), 2014. H. Nagano, Y. Visell, S. Okamoto, On the Effect of Vibration on Slip Perception During Bare Finger Contact [PDF]. Proc. of Eurohaptics Conference, 2014. Y. Visell, K. Duraikkannan, V. Hayward, A Device and Method for Multimodal Haptic Rendering of Volumetric Stiffness [PDF]. Proc. of Eurohaptics Conference, 2014. J. Kahn, D. Peretz, J. Tangorra, Y. Visell, Touch Sensing in a Robotic Fish Fin. Demo, Living Machines: Intl Conf on Biomimetic and Biohybrid Systems, 2013. Y. Visell, V. Hayward, An asymmetry in force perception contingent on motion reversal [PDF]. Proc. of the IEEE World Haptics Conference, 2013. A. Berrezag, Y. Visell, V. Hayward, Compressibility and Crushability Reproduction Through an Amorphous Haptic Interface. Demo, EuroHaptics Conference, 2012. Y. Visell, J. Cooperstock, Design of a Vibrotactile Display via a Rigid Surface [PDF]. Proceedings of the IEEE Haptics Symposium, 2010. Y. Visell, S. Smith, A. Law, R. Rajalingham, J. Cooperstock, Contact Sensing and Interaction Techniques for a Distributed, Multimodal Floor Display. [PDF] Proceedings of the IEEE Symposium on 3D User Interfaces (3DUI'10), 2010. Y. Visell, A. Law, S. Smith, J. Ip, J. Cooperstock, Interaction Capture in Immersive Environments via an Intelligent Floor Surface [PDF]. Proceedings of IEEE Virtual Reality (VR'10), 2010. R. Rajalingham, Y. Visell, J. Cooperstock, Probabilistic Tracking of Pedestrian Movements from In-floor Force Measurements [PDF]. Proceedings of the 7th Canadian Conference on Computer and Robot Vision (CRV'10), 2010. A. Law, J. Ip, B. Peck, Y. Visell, P. Kry, J. Cooperstock, A Multimodal Floor for Virtual Environments. ACM SIGGRAPH, Emerging Technologies, 2009. Y. Visell, A. Law, J. Cooperstock, Toward Iconic Vibrotactile Information Display via Floor Surfaces. Proceedings of World Haptics, 2009. A. Law, B. Peck, Y. Visell, P. Kry, J. Cooperstock, A Multi-modal Floor-space for Experiencing Material Deformation Underfoot in Virtual Reality [PDF]. Proc. IEEE Intl. Workshop on Haptic Audio Visual Environments and Games (HAVE'08). Y. Visell, J. R. Cooperstock, K. Franinovic, B. L. Giordano, S. McAdams, K. Jathal, A. 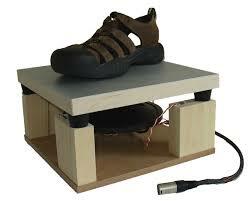 Law, F. Fontana, A Vibrotactile Device for Display of Virtual Ground Materials in Walking [PDF]. Proceedings of Eurohaptics, 2008. B. L. Giordano, S. McAdams, Y. Visell, J. R. Cooperstock, H. Yao, V. Hayward, Non-Visual Identification of Walking Grounds. Proceedings of Acoustics'08. J. Acoust. Soc. Am. 123 (5):3412, 2008. R. Bresin, S. Della Monache, F. Fontana, S. Pappetti, P. Polotti, Y. Visell, Auditory Feedback from Crumpling Sound Synthesis. ACM CHI 2008 Extended Abstracts. Y. Visell and J. R. Cooperstock, Enabling Gestural Interaction by Means of Tracking Dynamical Systems Models and Assistive Feedback [PDF]. Proceedings of the IEEE Intl. Conf. on Systems, Man, and Cybernetics (IEEE SMC'07), 2007. K. Franinovic, Y. Visell, New Musical Interfaces in Context: Sonic Interaction Design in the Urban Setting [PDF]. Intl. Conf. on New Instruments for Musical Expression (NIME'07), 2007. Y. Visell, K. Franinovic, Recycled Soundscapes. ACM Designing Interactive Systems (DIS'04), 2004. B. Li, Soft Tactile Sensors for Mechanical Imaging. Ph.D. Dissertation, Drexel University, 2016. M. Janko, Modeling of Frictional Forces During Bare Finger Interactions with Solid Surfaces. Ph.D. Dissertation, Drexel University, 2017. H. Schaefer, Touch Amplification for Human-Computer Interaction. M.S. Thesis, University of California, Santa Barbara, 2017. S. Patwardhan, A Thermoelectric Display for Assessment of Touch Sensory Deficits. M.S. Thesis, University of California, Santa Barbara, 2017. B. Khojasteh, Linear and Nonlinear Analysis of Sliding Friction Dynamics for Haptic Texture Discrimination. M. S. Thesis, Hamburg University of Technology (TUHH), 2017. T. N. Do, Y. Visell, Stretchable, Conductive Interconnect and/or sensor and method of making the same. USPTO 62/452,758. B. Li, Y. Visell, Tactile Sensors and Methods of Fabricating Tactile Sensors. USPTO (Pending). Y. Visell, K. Franinovic, A. Law, J. Cooperstock, Floor-Based Haptic Communication System. USPTO 9041521. M. Nakatani, Y. Visell, X. Duan, H.-Y. Yao, Introduction to Haptic Media Design: Basics and Practical Implications. IEEE Haptics Symposium, 2016. Y. Visell, M. Hartmann, V. Hayward, N. Lepora, Active Touch Sensing in Robots and Animals. IEEE/RSJ IROS, 2014. F. Steinecke, Y. Visell, A. Lecuyer, Walking in Virtual Environments. Course at ACM CHI, 2013. Y. Visell et al., Hands-on Haptics. Workshop at La Gaïté Lyrique (Digital Arts Center), Paris, France, 2012. Y. Visell and J. Platkiewicz, L'haptique. Lectures at Ecole Supérieure des Arts Décoratifs, Strasbourg, France, 2012. D. Rocchesso, S. Serafin, F. Behrendt, N. Bernardini, R. Bresin, G. Eckel, K. Franinovic, T. Hermann, S. Pauletto, P. Susini, Y. Visell. Sonic Interaction Design. Workshop at ACM CHI, 2008. US National Science Foundation CAREER Award to Y. Visell, 2018. CNSI Challenge Grant – New Ventures. With Prof. Thuc-Quyen Nguyen, Department of Chemistry and Biochemistry, UCSB, 2017-8. Hellman Family Faculty Fellowship to Y. Visell, 2017. Technology Seed Grant, UCSB Office of Technology and Industry Alliances, 2017. Google Faculty Research Award to Y. Visell, 2016. National Science Foundation, Cyber Physical Systems, ID CNS-1446752, 2015-17. National Science Foundation, CISE – Cyber Human Systems, ID 1527709, 2015-18. Independence Blue Cross, Medical Simulation Grant to Y. Visell with D. Scott Lind MD, 2015-6. Generous support for our research is also provided by the University of California.